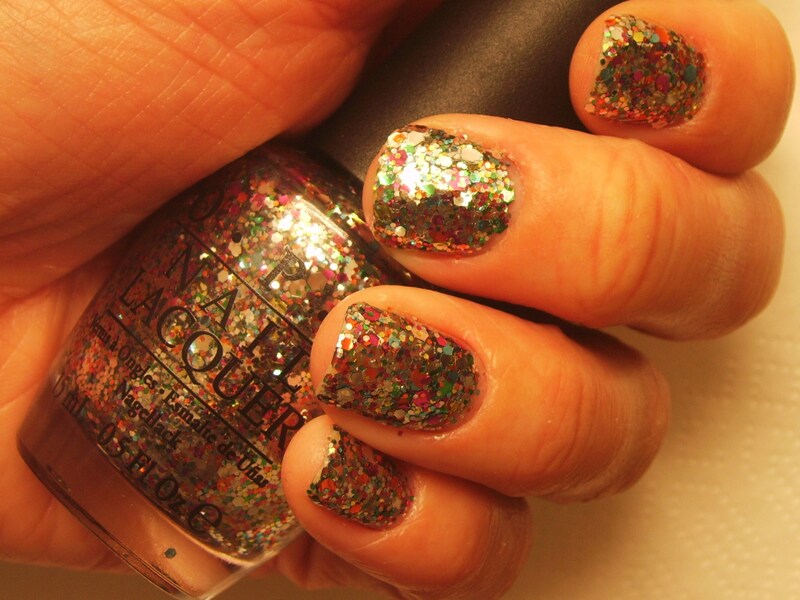 New Years Eve is just around the corner, and for that reason I’m giving you one of my options for fantastic festive sparkly New years-y nails. 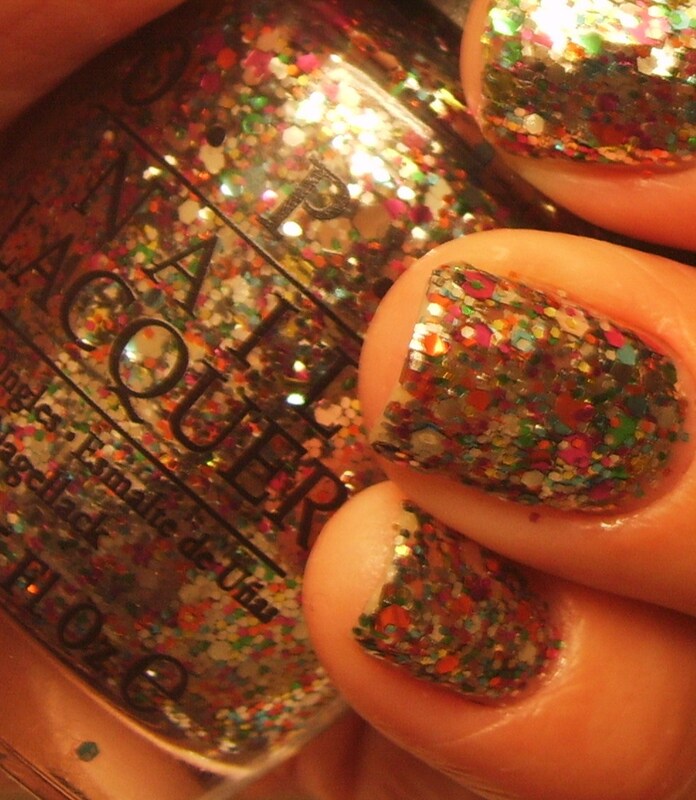 It’s the ever so super sparkly ‘Rainbow Connection’ by OPI, and it’s perfect for a night like this. Unfortunately I can’t rock these beauties because I have to pop into work. Oh what a joy! But rest assure, my nails will still have some NY Eve umph. The first picture is to show what a singe coat looks like. As you can see it’s quite dense with sparkle, some small bits and some bigger ones. The rest of the pictures are of five coats. I have of course added a coat or two of top-coat. Very important. In reality it comes across as mostly silver, with light blue and pink, though these pictures really shows the full array of colours. As an option you could have a singe coat on top of another shade, looks very pretty and it would be a more subtle option. 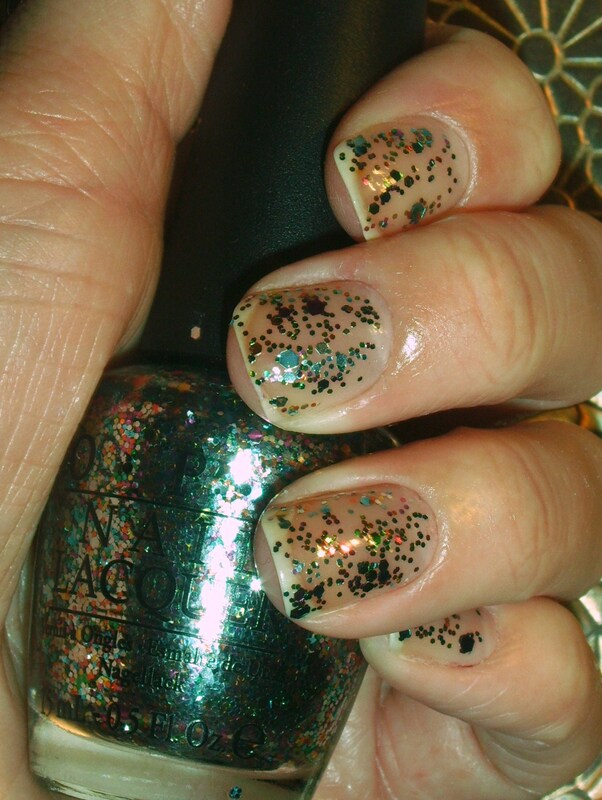 Tomorrow I’ll post another New Years Eve nail art, a very classy and elegant option. You will love it. I do, if I may blow my own trumpet. 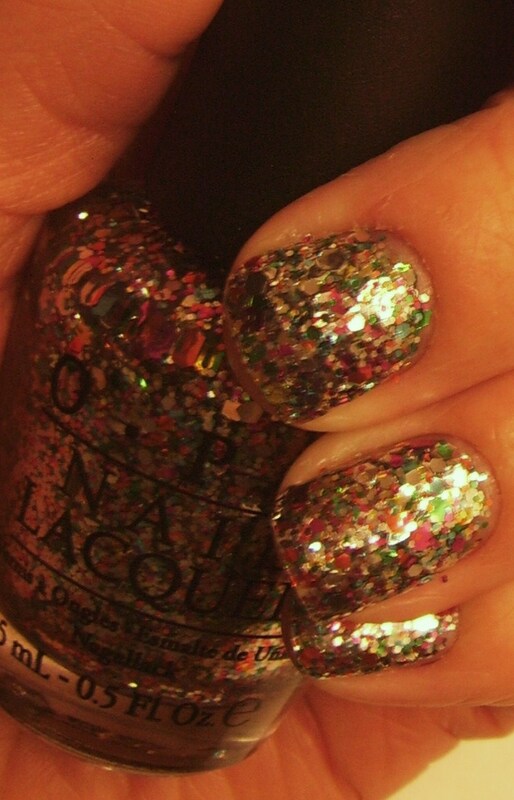 This entry was posted in Beauty and tagged Beauty, Glitter, Nail polish, New Years Eve, OPI, Sparkle. Bookmark the permalink. Yay! 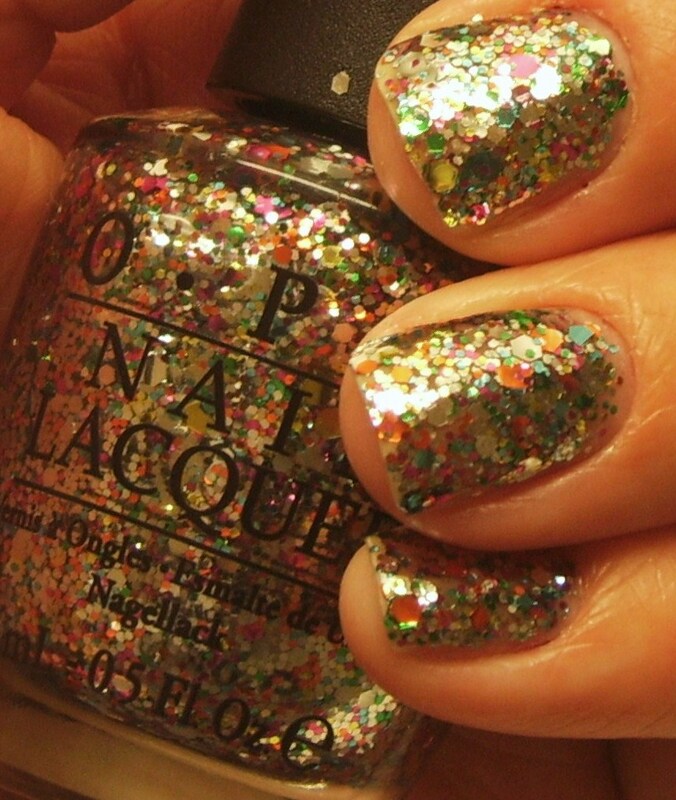 Sparkly nails are so satisfying and ultra feminine! Gotta love being a girly girl sometimes! Absolutely, and New Years Eve is perfect for some extra sparkle 🙂 Wishing you a great celebration.